First, I must say, this is a difficult question as there is much disagreement and misunderstanding on the topic. However, it is a very practical and important question. “Pentecostal and charismatic theology generally maintains that baptism with the Holy Spirit is a second blessing, an experience of God’s grace subsequent to conversion.” However, Allison demonstrates that “the New Testament vividly portrays the initial work involving the Spirit with several interchangeable expressions.” To understand what our term, “baptized in the Spirit,” means we have to look at the extended context in which it is used. We also have to determine if Jesus’ followers were regenerate or not. If we believe that they were already regenerate then our term refers to a second or subsequent work of the Spirit. If they were not already regenerate then it does not refer to a subsequent work but to the conversion work of the Spirit. I believe that Allison has demonstrated that it refers to the conversion work of the Spirit and not to a subsequent work. If this is true then “baptized in the Spirit” means something akin to regenerated by the Spirit or the initial giving of the Spirit. However, I think this term brings in more meaning. I believe that “baptized in the Spirit” (Matt. 3:11; Mk. 1:8; Lk. 3:16; Jn. 1:33; Acts 1:5; 11:16) means something close to immersed in the Spirit. It has to do with being engulfed in the glory and wonder of God by the Spirit. “Baptized” (Gk. baptizo) means dip, submerge, or plunge. So, the baptism of the Spirit, like the one at Pentecost, is an overwhelming experience (So, the LXX reading of Isaiah 21:4: “My heart wanders, and transgression ‘overwhelms’ [Gk. baptizo] me”). It also seems that the baptism of the Holy Spirit, in Scripture, has partly to do with being incorporated into the people of God. We see this for example through Paul’s use of a similar phrase. He says, “In one Spirit we were all baptized into one body” (1 Cor. 12:13). Yet, we also saw this at Pentecost: Jew and Gentile, together, we’re baptized in the Spirit. They were brought together through the overwhelming experience of the Spirit. I also believe that Pentecost was unique in some ways. Unique in that it may have been the first time that believers were indwelt by God the Spirit (there is much debate and necessary caveats regarding this statement). There were also prophecies that were fulfilled through Pentecost (Joel 2). It was also a very turbulent time and there was an especially significant need for God to demonstrate that He was behind the New Covenant and the inclusion of the Gentiles (cf. Acts 10:44-48; 11:15-18; 15:8-11). This is not to say, that God does not still work in significant and similar ways. I believe He does at times. I do not believe that the miraculous gifts of the Spirit have seized. This is only to say that we must see the special uniqueness of that time in the life of the Church. I believe that the baptism of the Holy Spirit is closely related to the filling of the Holy Spirit and may or may not result in the sign gifts of the Spirit. That, briefly, is how I understand the baptism of the Holy Spirit. I would, however, like to further study this subject. From the point of our new birth we are filled with the Holy Spirit. We are, amazingly, temples of the Living God (e.g. 1 Cor. 3:16; Eph. 1:13). However, we can still be filled with the Spirit. We need this filling for instance to be powerful witnesses, to put to death the wicked deeds of the body, and to know and love God as we should. Paul wrote to the saints (who thus were indwelt by the Spirit) at Ephesus (Eph. 1:1) and yet he prayed that they would be filled with all the fullness of God (notice “filled,” “all,” and “fullness”) (Eph. 3:19). He prayed that they would have strength to comprehend the love of Christ that surpasses knowledge, this happens through the Spirit’s power (Eph. 3:16). So, I think the filling of the Spirit has to do with tasting the reality of God’s truth. It is more than cognitive consent. So I agree with Allison, I think “the sense of the filling or fullness of the Spirit is being thoroughly and regularly pervaded by or permeated with the Spirit resulting in fruitfulness, seen in productive ministry and proven godly character.” We should all greatly desire, pray for, and seek this filling of the Spirit. We want to both have a sense of the great sweetness of God and His truth (cf. Ps. 34:8; 1 Pet. 2:3) and be empowered for significant ministry to God’s glory. I believe that the Spirit fills us through a collaboration of means. He works as we sing songs, and hymns, and spiritual songs (Eph. 5:18-19; Col. 3:16). He speaks through Scripture. He works as we pray (Eph. 1:17ff; 3:16ff). We come to God as our good Father and ask Him to fill us with the Spirit (Lk. 11:5-13). “Sam Storms explains, baptism with the Spirit at salvation ‘does not preclude multiple, subsequent experiences of the Spirit’s activity… The New Testament endorses and encourages multiple subsequent experiences of the Spirit’s power and presence.’” We see this in Scripture. We’ll take our example from Ephesians. First, Paul says, “Be filled with the Spirit” (Eph. 5:18), he says it as a command, not an option. We must also realize that he says it to believers, believers that are already temples indwelt with the Spirit of God (1 Cor. 3:16; Eph. 1:13 cf. Titus 3:5; Jn. 3:3, 5). So there must be a way that we can be more filled (notice Paul’s language in Eph. 3:19). Second, the tense is present, so we could say that we are called to “keep on being filled with the Spirit.” It is not simply a once and done type of thing. We continually need to pursue the filling of the Spirit. Third, it is in the passive voice, we are filled and we cannot do the filling on our own. The Spirit does the work of filling us and we cannot fabricate or conjure His presence. However, that does not mean that we are inactive in our pursuit of being filled with the Spirit. Remember, Paul says “be filled.” It’s a passive imperative. Thus we pray (Lk. 11:5-13) and we sing (Eph. 5:18-19; Col. 3:16). We kill sin (mortification) and live towards God (vivification). We purify ourselves to be worthy vessels (Rom. 8:4-6; 1 Cor. 3:16-17; 6:19-20; Gal. 5:16-25; 2 Tim. 2:21). Gregg R. Allison, “Baptism with and Filling of the Holy Spirit,” 8. Ibid., 11. Sinclair B. Ferguson also says that “Luke-Acts speaks of being filled with or being full of the Spirit as an ongoing condition, but also describes particular occasions when individuals appear to experience distinct fillings” (The Holy Spirit, 89). (a) John the Baptist uses the phrase as a metaphor for the end-time ‘deluge’ of Spirit-and-fire that will destroy and recreate the world (Mt. 3:11 f.). All will experience that. (b) Jesus uses the same language, this time as a metaphor for the deluge of Spirit experienced by the 120 at Pentecost (Jesus’ re-use of end-time language in connection with events in salvation history is characteristic: cf. his use of ‘kingdom of God’ language at Lk. 11:20 for example). At Acts 1:5 there is no suggestion that any further such mighty deluge of Spirit (before the end) is actually indicated. In conclusion we can say that the speakers in Luke-Acts use ‘baptize in Holy Spirit’ as a metaphor for being ‘deluged’ or ‘overwhelmed’ by the Spirit (albeit in different ways). Luke, like Josephus (see Turner, ‘Spirit Endowment’ 50ff. ), uses ‘baptize’ metaphorically to compare an experience of the Spirit (or wine, or sleep or whatever) with how a deluge or floodtide overcomes and engulfs a man. The phraseology is used to denote a dramatic experience which overwhelms. Few in the NT are described as having such an overwhelmingly powerful experience of the Spirit as to suggest the metaphor (Pentecost and Cornelius in Luke-Acts); and few today have such a powerful experience that this language commends itself. Sinclair B. Ferguson, The Holy Spirit, 90. Allison, “Baptism with and Filling of the Holy Spirit,” 14. “Are the gifts of the Spirit for today?” This is a big question and an important one because it impacts the church, missions, and individual’s spiritual lives. It is an important question because many denominations and individuals are divided over it. Truly and sadly very often “those who [speak] most loudly of being led by the Spirit [are] the very persons responsible for quenching the Spirit’s work.” Interestingly, this was also true of the Corinthians of Paul’s day. Yet, Paul does not say, “Away with the Spirit!” Instead, he says, “Don’t quench the Spirit” (1 Thess. 5:19)! The Spirit is not the problem; we are. I think both camps, cessationists (they believe the gifts have seized) and continuationists (they believe the gifts continue), are right on some points and wrong on others. “Error is much more likely to be propagated, when it is mixed with truth. This hides deformity and makes it go down more easily.” Those who believe that the miraculous gifts of the Spirit continue and those that believe they do not both very often sound right. This likely means that both arguments have been construed wrongly. Neither side is understanding the question rightly. Of course, I will not satisfy everyone, or, perhaps, anyone. But this is my attempt to satisfy myself on this subject. And I hope to bring you along as well. We will first look at four negative arguments that people make that believe the charismatic gifts have seized. Then we will look at one positive argument in favor of the continuation of the charismatic gifts. 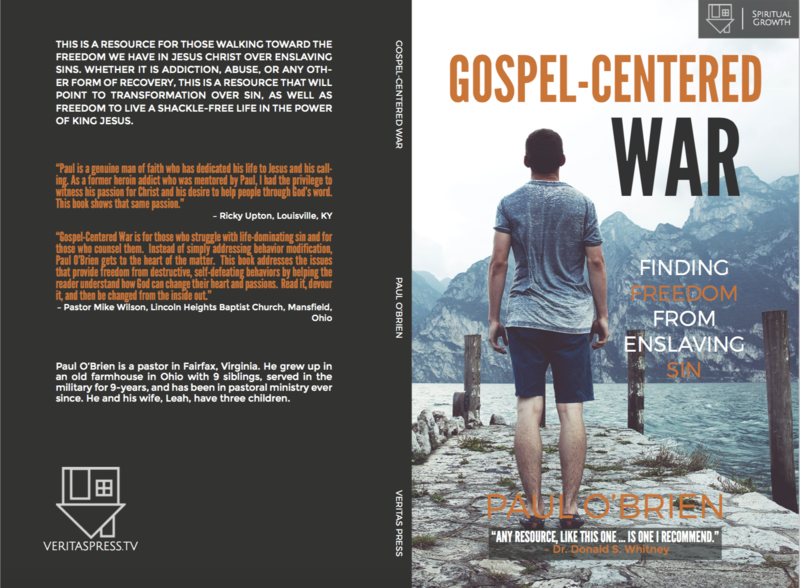 I also have included a long excursus that outlines a somewhat chronological example of the ongoing powerful and uncommon work of the Spirit since Pentecost. Finally, we will look at a few practical reflections.